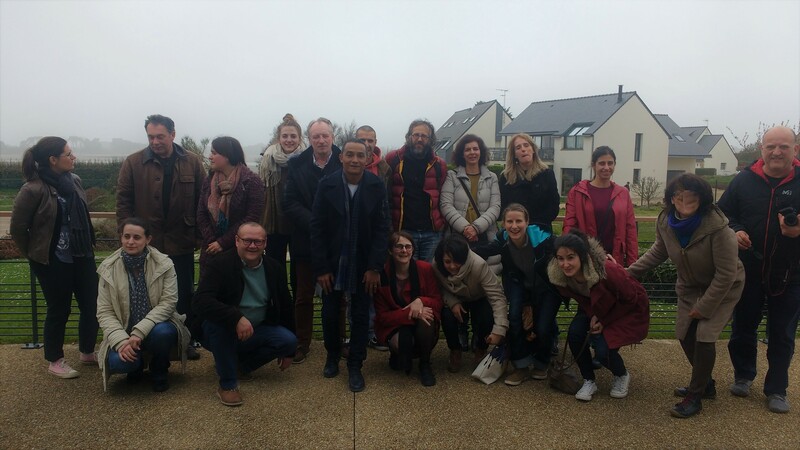 The second project meeting was finally held at Roscoff between the 10 and 12 April. It was an important meeting where we had to evaluate the damage to the Human Excusion Experiment after a very harsh winter. In Asturias several of the exclusion cages were released by successive storms with 7-m waves. Fortunatelly, they could be fixed as soon as we had access to the sites. In Galicia, te cages were mostly affected by vandalism. All in all, the exclusion experiment continues as planned. We also discussed advances in the larval transport models, which are currently in their first runs after a thorough revision of assumptions during the past Aveiro meeting. It is time for the next step -the bioeconomic models. It was decided that we would devote a full meeting to the bioeconomic models next year in Vigo. Just as the Aveiro meeting, it was not planned in the original proposal, but we deemed it essential for quick progress to our goal. Genetics had also their room in the discussion, and we were made aware of the struggle to arrive at a set of microsatellite markers to evaluate the connectivity among populations. Very nice group work, extraordinary hosting by the Station Biologique, and by Dominique Davoult, Eric Thiebaut and their group, at a pair with the excellence of the past Sines meeting. About food and people, well, it’s France! 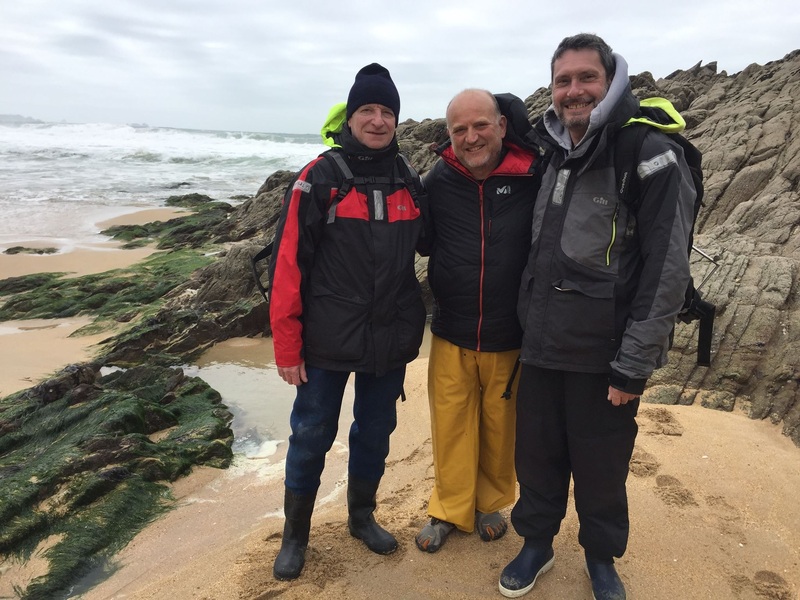 From left to right: Jorge Chachero (DOCUMENTAZUL), Seagull 1, Seagull 2, professional stalked barnacle harvester Patrick Tanguy and Olivier Bohner (UPMC). 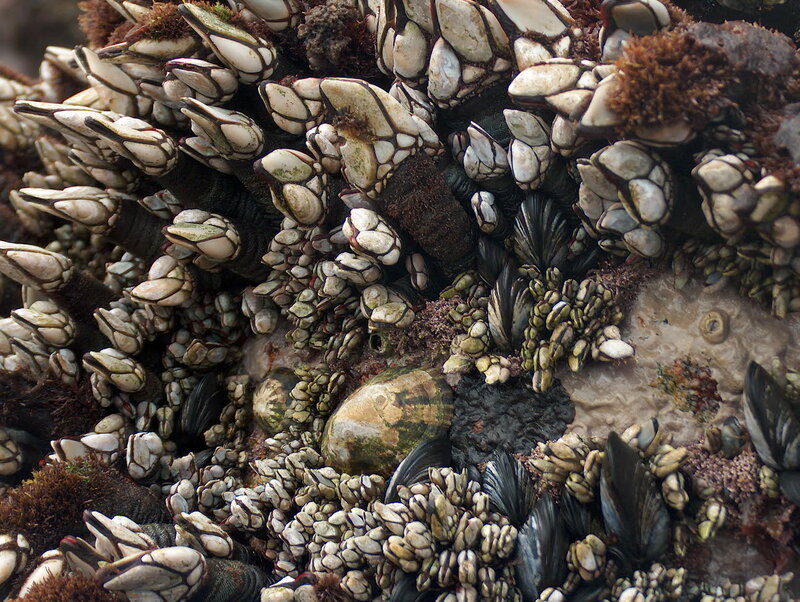 After the meeting, videodocumentalist Jorge Chachero (DOCUMENTAZUL) arrived to Brittany with the goal of capturing images of a barnacle harvester and of PERCEBES scientists in action at the rocky shore. 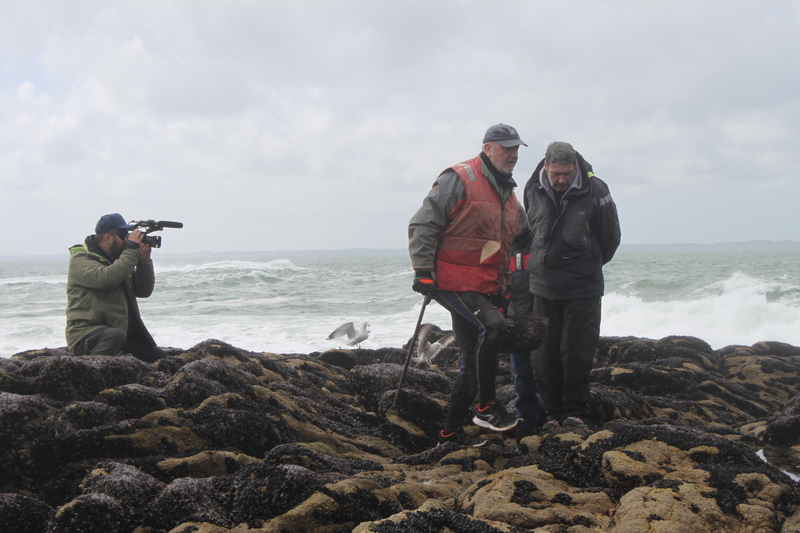 The prospects were quite horrible regarding the weather, but finally we were very lucky to be able to follow harvester Patrick Tanguy in one of his harvesting trips to the rocky shore in Quiberon. Patrick was not only an acomplished harvester, but also a delightful source of information and a cultivated person with a remarkable insight into the ecological processes of this particular environment. That same day we also had a deep and extremely interesting interview with Guillaume Le Priellec, the person in charge of the fishery organization, who gave us detailed account of how this fishery is managed. There we learned that this fishery is to some extent co-managed with the harvesters, who participate in the decisions on the when, where and how much to harvest. During our visit to Toulbroc’h, from left to right: Dominique Davoult (UPMC), José Luis Acuña (Univ. Oviedo) and Olivier Bohner (UPMC). Last day we tried to accompany Dominique Davoult and Olivier Bohner to visit Toulbroc’h, where the team at the Station Biologique du Roscoff (UPMC) have installed one of the PERCEBES experimental sites. This time the weather did not help, and we were only able to get close enough to make out one of the cages in the distance, surrounded by a magma of foam and 6-m waves. As in Portugal and Spain, winter has been tough in Brittany. In summary, these have been very intense and successful days, and the atmosphere of team job and good spirits made the rest. Thanks to all participants and see you in Vigo-2019!